You know how using old things in new ways is the new thing? 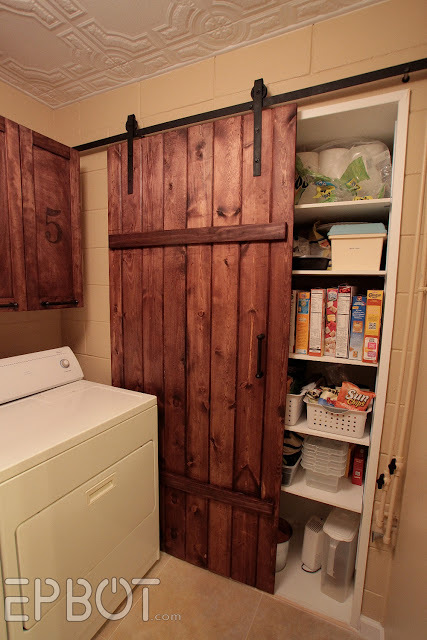 Well, today I want to show you how one of my dearest friends repurposed 100 year old doors from her great-grandmother's house in Causeyville, Mississippi. My friend Kristi's living room opens into a space that was originally an outdoor covered deck. She and her husband decided to enclose the area and made it into a playroom for her two girls Mallory and Mayson. But, you know how the story goes-one grew up and got married and the other one turned into a teenager. So the space is now a cozy sitting area. The vintage doors separate the living and sitting rooms. Like her mom, Inspiration House #1, Kristi knows how to make a room a great space. She told me the aged rolling doors are her favorite thing about her house and if she ever leaves, they'll be going with her. She has mixed other old things with new things in other parts of her house, and I'll show you some of those in a later post. 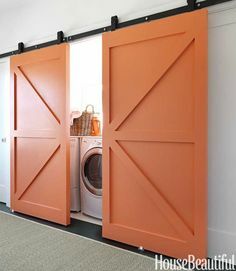 Here are a few other examples of how rolling doors can be used. Thanks so much to my friend Kristi for opening her doors to Woodbank Lane. 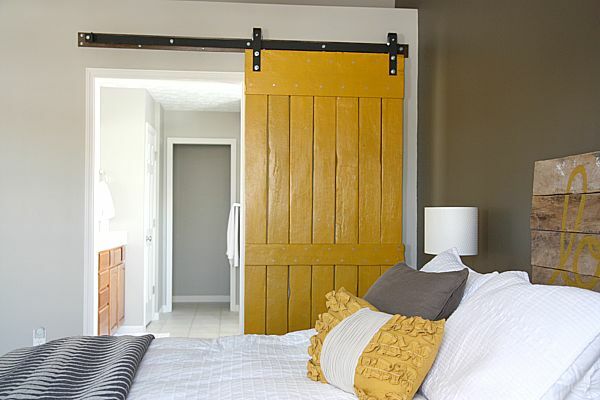 Have you used any old, special items in new ways in your home? Click on comments below and share. Come follow us on Instagram @woodbanklane.